Why buy BIC pens for your promotion? One of the most popular form of promotional products is still the humble pen. Even though we have entered the digital age people still need a pen to perform their daily tasks both at home and at work. Company give away promotional pens because they know that they will stay in use for a long time and give their brand some very good exposure. – BIC pens are reliable and of good quality. You can trust every BIC pen you purchase to perform as you expect it too. Some BIC pens are known to write more than 1.2 miles without problems. Indeed BIC carried out 7,250km of tests on their pens annually. – There is a great variety of pens available, The pens are available in different forms, colours, and styles. You can purchase pens with rubber grips, plastic bodies, metal bodies, with colourful print, etc. The is also a range stylus pens if you want to give something unique and interesting to your customers. – Despite their quality they are still amongst the most affordable pens on the mark. They produce over 31 million pens daily which gives them economies of scale. The price of some of these pens is as low as $0.73 so you’ll definitely find something that fits into your budget. – BIC is a well-known company that provides good products. Since their inception in the 1950’s the brand has been synonymous with quality ballpoint pens. If you give someone a promotional BIC pen it will reflect positively on your own brand and will have a lasting impact on your customers. – The pens are customisable with your company logo so they are a great promotional products to bring with you to trade fairs and other events. The best possible printing technologies are used to ensure your branding is clear and visible. BIC prints all of its pens in-house to ensure a consistent quality. 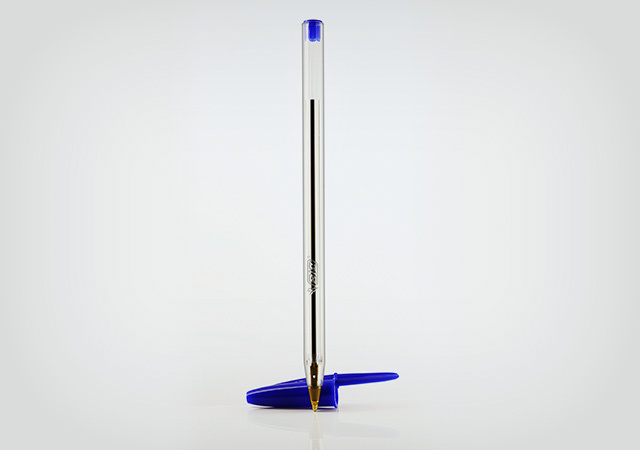 So if you are looking at adding a pen to your next promotional campaign then look no further.